MIT is pushing the boundaries of the 3D printing technology (“3DP“) it helped pioneer nearly two decades ago. 3DP printers build 3D solid objects by spreading layers of supported materials over movable control surfaces. Current models can use a variety of materials, including metals, and can include colors in printed objects. One former Media Lab student, Peter Schmitt PhD ’11, working with Media Lab IP consultant Bob Swartz, has printed entire working clocks — with all their gears, chains, faces and hands in a single unit — ready to start ticking as soon as the surplus powder is washed away. But take it a step further: imagine being able to “print” an entire house or building. A system for doing just that by “printing” concrete is being developed by the MIT Media Lab’s Neri Oxman and her graduate student Steven Keating. The technique could make it possible to create fanciful, organic-looking shapes that would be difficult or impossible using molds. It could also allow the properties of the concrete itself to vary continuously, producing structures that are both lighter and stronger than conventional concrete. 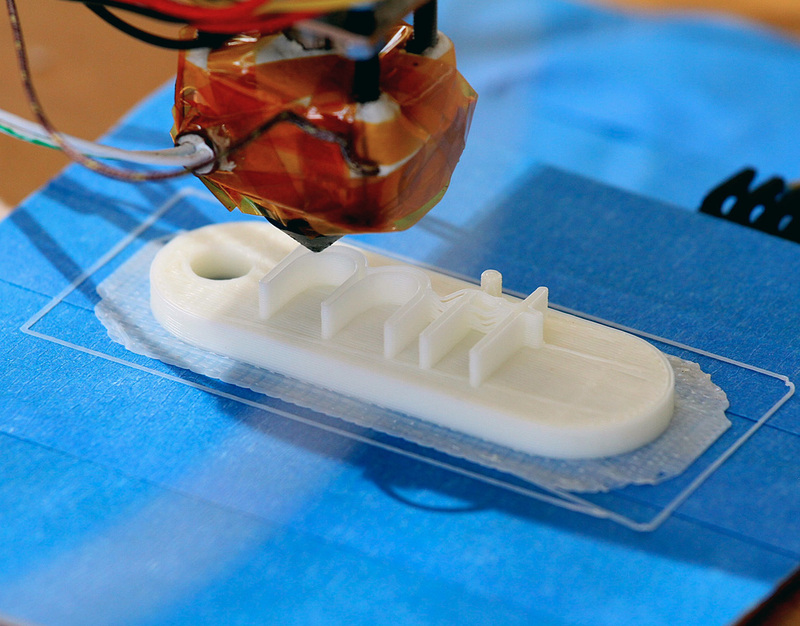 This variable-density printing is not just about large-scale objects. Oxman has designed a chair made of different polymers, for example, producing stiff areas for structural support and flexible areas for comfort, all printed out as a single unit. Peter Schmitt, now a visiting scientist at the Media Lab, is pushing the technology in an even more sci-fi direction, trying to “build machines that could build machines,” he says. So far, he’s succeeded in making machines that can make many of the parts for another machine, but there remain many obstacles in establishing connections among these — and it’s still more of an intellectual exercise than a practical system, he concedes.